Lately I've been dragging my son all over the South Bay running random errands. 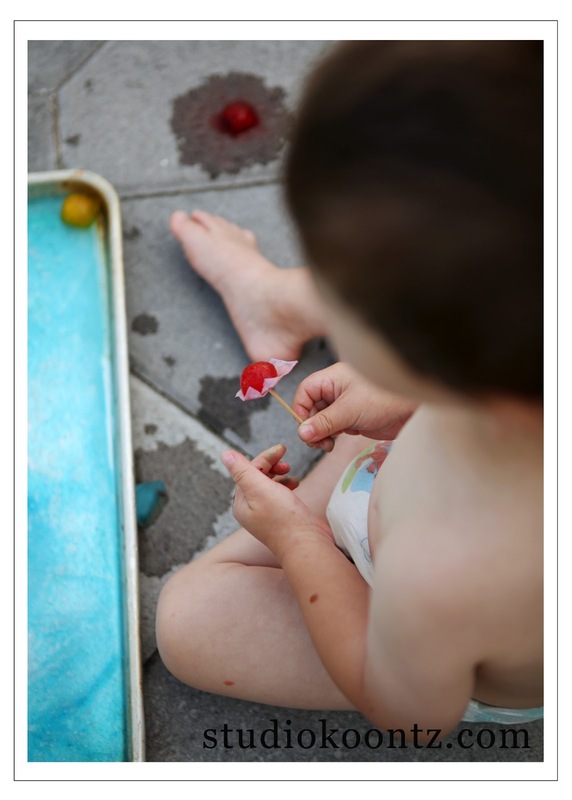 With one week left of summer, I decided I should probably do something fun with Blee at home. I poured over my Pinterest pins. After a few minutes, I found the perfect summer activity here. I changed it up a little so Blee could play with it outside instead of in the tub. 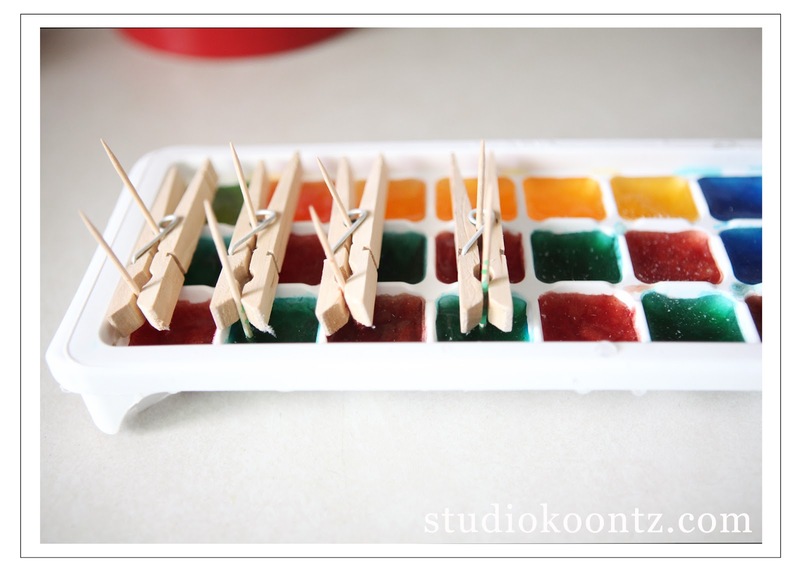 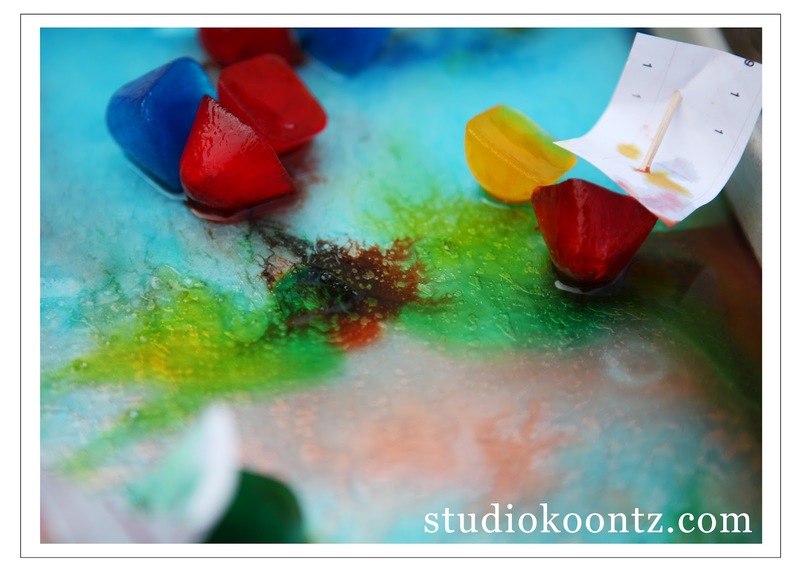 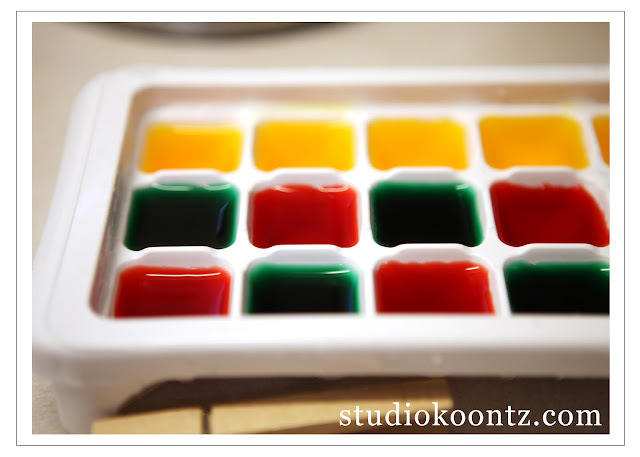 Step : Pour water in the ice cube trays and add food coloring. 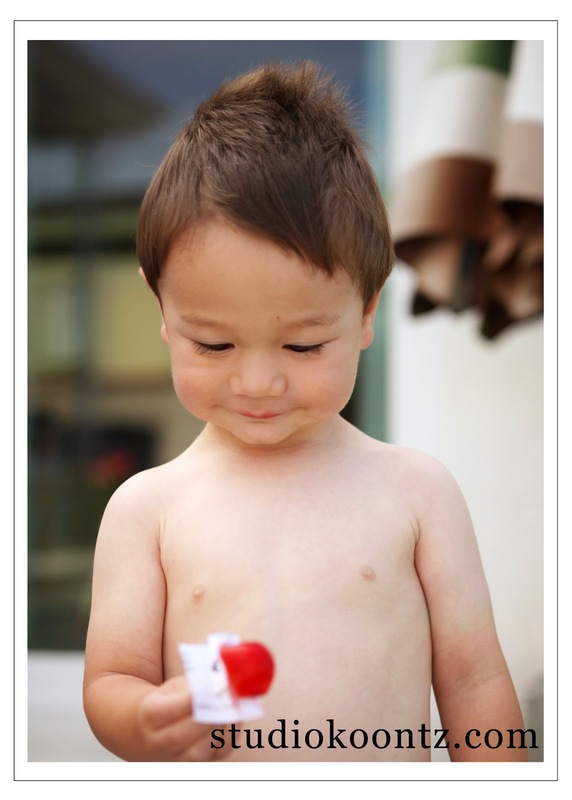 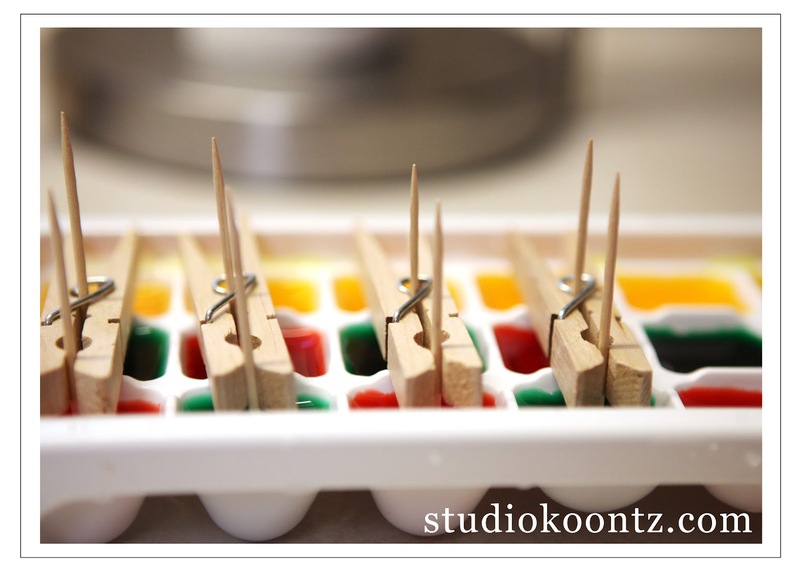 Step 2 : Using clothespins, hold toothpicks in place. Step 3 : Pour water in a baking sheet, and add blue food coloring. 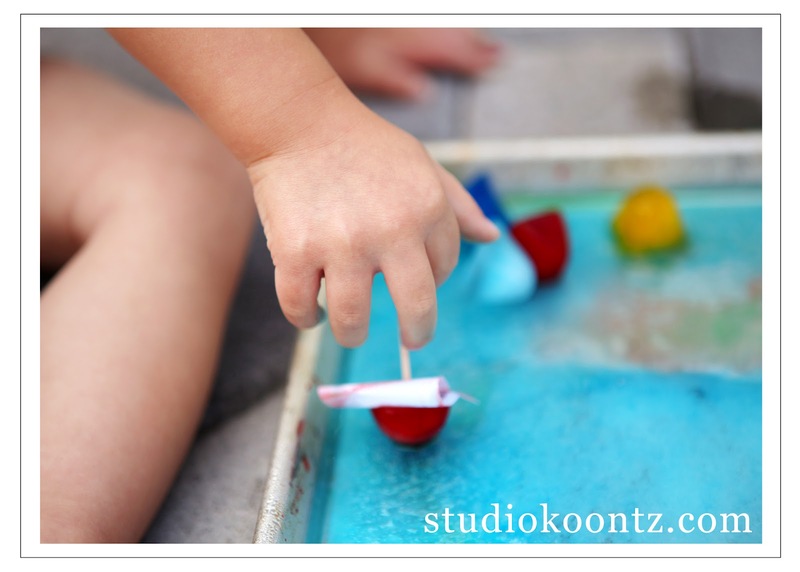 Step 5 : Create sailboats with the ice cubes w/toothpicks by inserting a piece of paper for the mast. 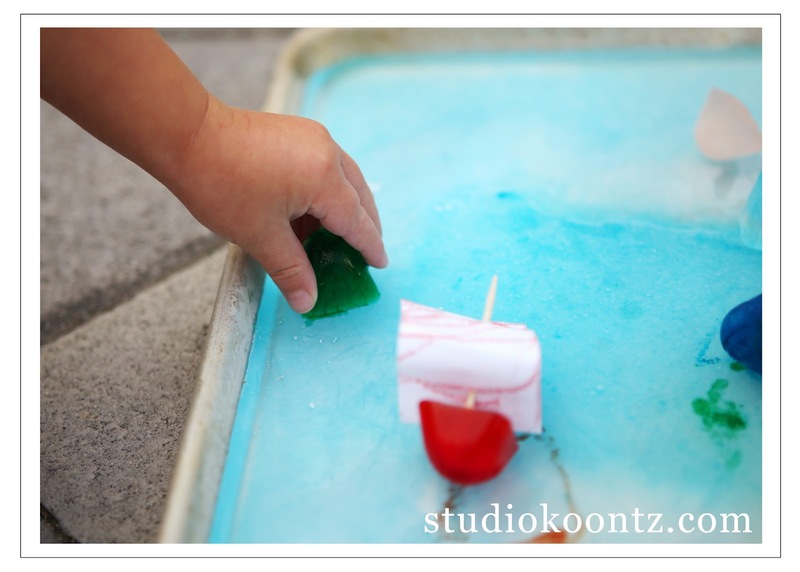 I think Blee enjoyed mixing the colors and gliding the sailboats across the ice. 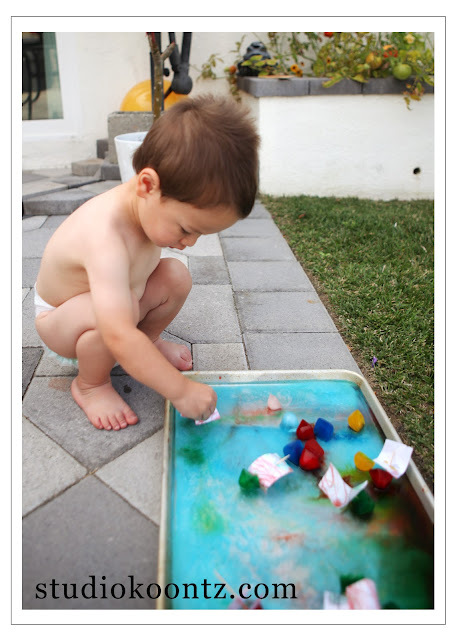 He was over with it in about 5 minutes though...good thing it didn't take too much effort to make this!